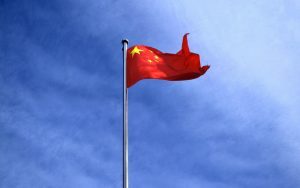 China is introducing a new tax which will impact Australian food companies that rely on selling their products online. Details of the tax are not yet clear however it is expected that online purchases from outside of China will be liable to be taxed at a rate of 11.9 per cent. The tax is expected to be introduced from April 2016. Until now, only products purchased online from online purchases by Chinese companies have been taxed. News of the tax yesterday led to a drop in the share prices of ASX-listed companies Blackmores and Bellamy’s Organic. Both of which receive substantial business revenues from Chinese consumers. Despite concerns over the state of the Chinese economy in the wake of the 2015 Shanghai Stock market crash, Australian food and beverage companies are still continuing to invest heavily in production facilities to export more units into China. Just this week, the China manager for Sanitarium Matthew McKenzie, revealed in the Australian Financial Review that most popular Australian breakfast cereal Weet-Bix had seen recent strong growth in purchases despite having been first launched over eight years ago. He said Chinas was in fact now the number one expoirt market for Weet-Bix with strong growth over the past 2 ½ years. In the 2014 – 2015 calendar year, exports from Australia to China exceeded AUD $81million in value. According to Australian government trade agency Austrade, infant formula, seafood, fruit, wheat, frozen meat, confectionery, wine and beer are all amongst the most desired Australian food types. At the start of March 2016 Australian Food News reported that Chinese comedian Guo Degang had closed the biggest private label wine exporting deal in Australian history, with an order of 800, 000 bottles of Victorian shiraz. Kellogg’s is opening its first permanent café in New York City.